Second-year student Hannah Graham disappeared during the early morning hours of Saturday, Sept. 13, after last being seen on Charlottesville’s Downtown Mall. 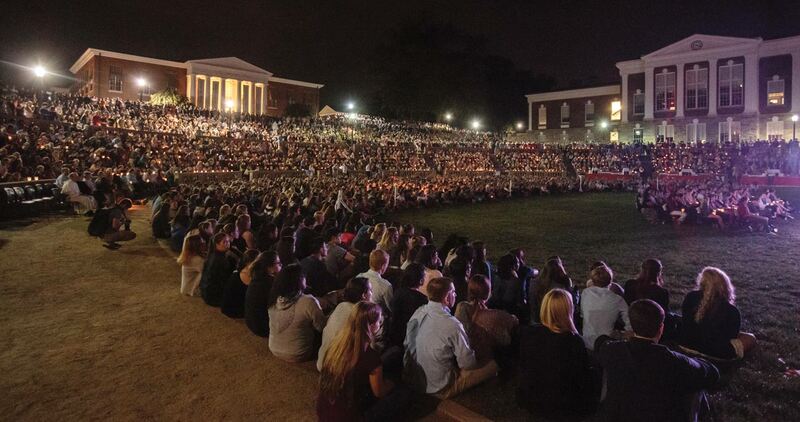 The following Thursday, thousands of members of the University and local communities gathered in the McIntire Amphitheater for a “Bring Hannah Home” candlelight vigil. 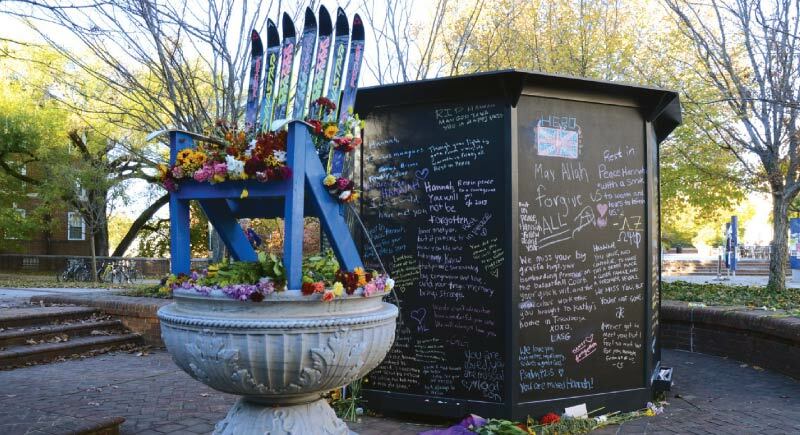 “We were comforted by the evident high esteem in which our cherished daughter is held by her many friends at the University of Virginia and beyond,” Graham’s parents said in a release that also thanked the students who organized the vigil. Other vigils around the state at James Madison University, Randolph-Macon College, UVA-Wise and Virginia Tech also offered support to the Graham family. As part of an intensive search for Graham, nearly 1,500 University and local community members joined 100 trained personnel the weekend following Graham’s disappearance to look for any signs of the missing student. On Sept. 23, police charged a Charlottesville man with Graham’s abduction. Weeks later, on Oct. 18, a search team discovered Graham’s remains on an abandoned property in Albemarle County.